The process of hiring a nanny can be overwhelming; having a nanny contract gives you the opportunity to clearly outline the terms and conditions of your nanny's employment and ensure that both parents and the nanny have a clear understanding of duties, responsibilities and expectations of each other. One of the biggest mistakes that parents can make during the nanny hiring process is to be vague or unclear about their expectations. Communicating in a straightforward and direct manner with your nanny from the start will help to ensure that there are no unpleasant surprises down the road for either party. Hiring a nanny is a serious commitment. As an employer, it's your responsibility to clearly communicate the terms and conditions of employment. Upon a job offer, present your nanny with a working draft of your proposed agreement. You and your nanny should then work to solidify a mutually agreeable contact. One of the most common reasons that nannies leave jobs is because the parents make unexpected, and in the nanny's eyes, unreasonable requests. These requests could involve extending the nanny's hours without prior notice or adding additional housekeeping duties to her responsibilities. On the other hand, one of the most common reasons that nanny employers become dissatisfied with their nannies is that they feel like they are being taking advantage of. The nanny may ask to have overnight guests, make long distance phone calls or expect to use her work vehicle for personal use. The problem here in both situations is that there is a lack of clarity with regards to expectations. Good communication is the most important part of the parent-nanny relationship. Parents and nannies who communicate well provide a nurturing environment for the children and are able to successfully work together. Having a detailed and mutually agreeable work agreement is the first step in making the nanny/employer relationship work. Once you have a mutually agreeable work agreement, it should be signed by both parents and the nanny. All parties should have original copies on file and should refer to them should questions about the terms of employment arise. If the contract needs to be amended, all parties should work together to develop the amendment, which should also be signed. A functional nanny contract includes a detailed statement outlining your nanny's duties, role and responsibilities, as well as your definition of quality care in relation to your goals for your children's growth and development. A work agreement should state your nanny's start and end dates, pay period and compensation (along with any deductions for applicable taxes, social security, and health insurance and who is responsible for those. It's also important to check into your state's requirements for disability, unemployment and worker's compensation insurance). Furthermore, the contract should specify hours, and whether or not you expect some flexibility in terms of when you will return home each evening or when you need your nanny to be on-call. When you specify hours, you need to include how many hours per week qualify as overtime, and what additional pay your nanny will receive for additional work. Overnight care-how often it is expected, and what additional pay will be provided per hour. A detailed travel schedule for the year that includes when you expect your nanny to leave town with the family, what provisions will be made for your nanny's comfort while traveling, how many hours of work will be necessary while out of town, and what additional pay will be provided. An agreement concerning the nanny's mealtimes, and what food items will be provided for the nanny in accordance with her dietary needs. An agreement concerning the children's dietary needs and what meals the nanny is expected to prepare. Rules for use of the nanny car, including provisions for automobile insurance. A schedule of regular meetings between the parents and the nanny to encourage ongoing communication. How sick days will be handled. How many vacation days she will get after an agreed on period of work and any other fringe benefits. A detailed, comprehensive nanny contract is especially important if you are hiring a live-in nanny, but should be just as much of a priority for any type of household employee you are considering hiring. Since your children's happiness is the most important thing, a fair contract will ensure that everyone concerned gets the most out of the loving care a nanny provides. 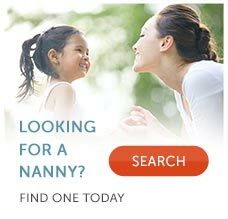 eNannySource.com provides a Family-Nanny work agreement with all Gold and Platinum level accounts in our Nanny Success Kit. A detailed and mutually satisfying nanny contract is an important step to achieving a successful, long-term relationship between families and nannies. Keeping the lines of communication open and upfront will lead to a nurturing environment that holds no unpleasant surprises for the parents, children or nanny. A fair contract will ensure that all parties involved with the care of your children understand and agree upon the terms and expectations of the nanny jobs, increasing the chances of a good fit between nanny and family.